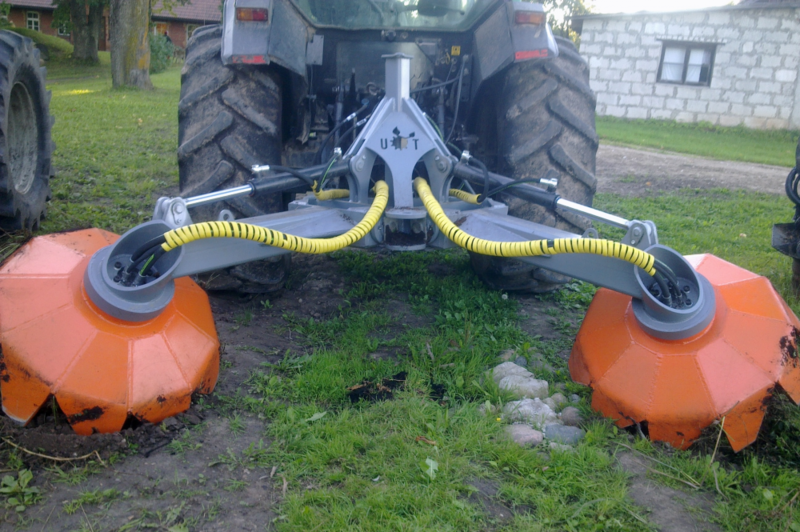 Excellent product to attach on all range forestry used agricultural tractors. 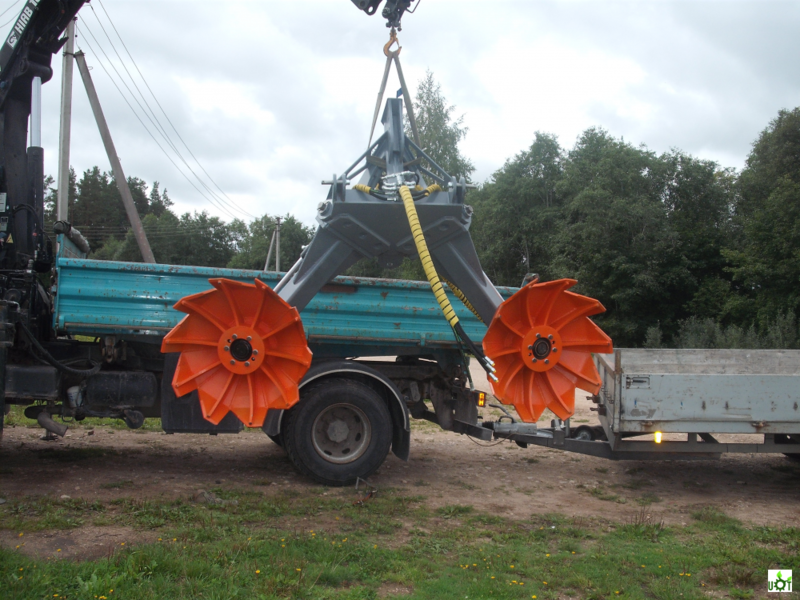 Because of ingeniously developed designed, we could compensate trenchers relatively light weight instead of powerful hydraulic motors. 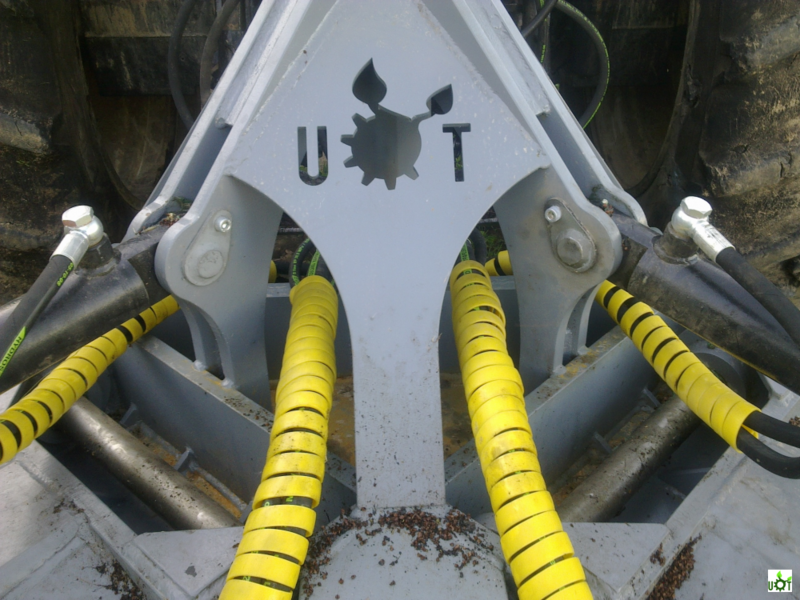 That way as trenchers kick point is used tractors weight and in result UOT-1000 can get up to 3000 kg pressure on the ground. More information	 Adjustable disc angle and distance between rows.